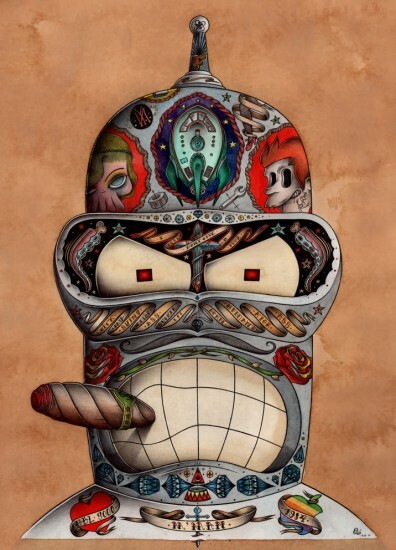 Lauren Davis at io9 came up with a great story about Bender from Futurama going to prison and coming out with a bunch of tattoos. I like to believe that one day, he got sick of collecting souvenir spoons from all over the universe and decided to start getting inked instead. 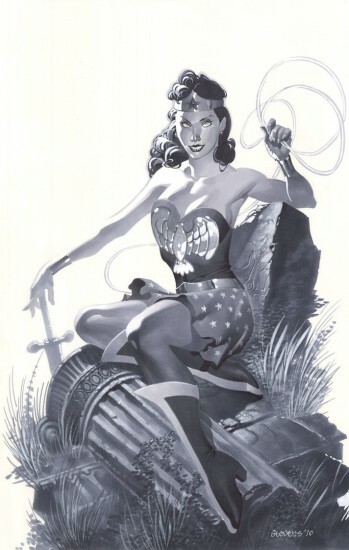 Because they tell stories! 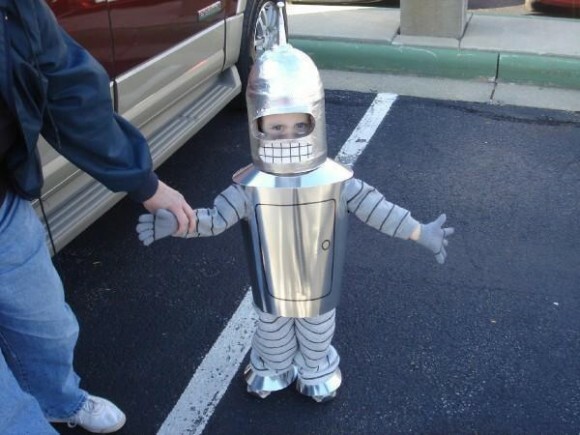 And Bender can always get his parts replaced or painted over. Whatever you choose to believe, we invite you to check out the various styles of tattoos on Bender designed by Nicolas Le Borgne (aka Odö) after the jump. Sure, widespread electronic voting would make the process of tallying and processing ballots exponentially easier, but can it ever really be secure? 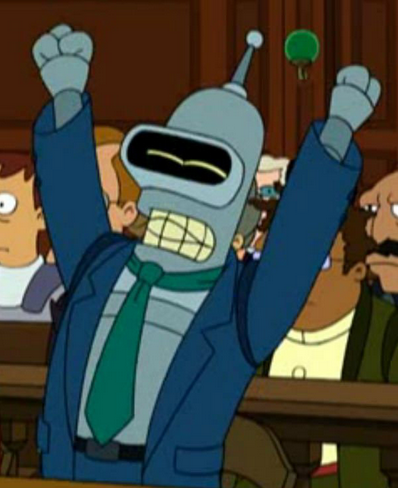 Maybe someday, but certainly not right now, as evidenced by a little experiment in Washington D.C. that ended with everyone's favorite robo-sociopath Bender Bending Rodriguez being elected as the head of the Washington D.C. school board. Needless to say, there was a little bit of hacking involved. 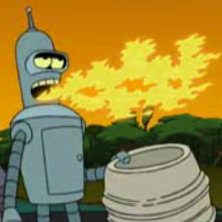 On Friday’s Fox & Friends, host Steve Doocy introduced a story about how Bender -- a cartoon robot from Comedy Central’s Futurama -- was voted in as the head of the Washington, D.C., School Board. The election, Doocy explained, wasn’t real -- it was a trial run for electronic voting systems and how secure they are. 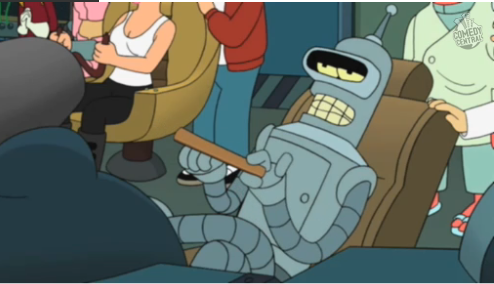 A team from the University of Michigan hacked in and made Bender the winner. 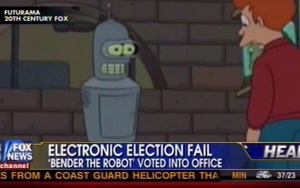 “If you think electronic voting systems are secure,” Doocy explained, “try explaining how the guy you’re about to see won an election.” He then showed a clip of Bender’s arms falling off. 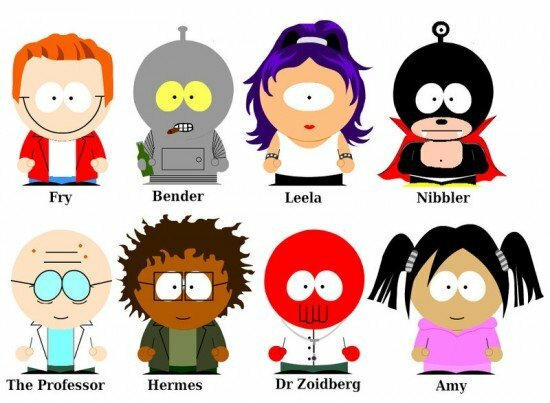 Bouletcorp has winningly mashed up Futurama with the animation style of Studio Ghibli's Hayao Miyazaki. 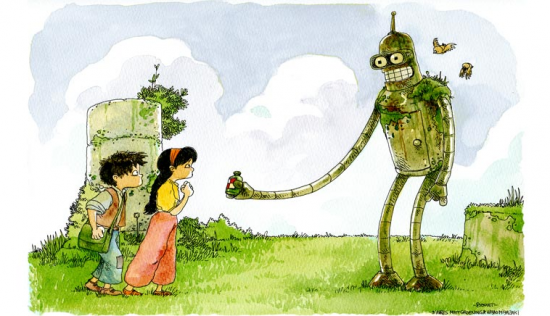 The wide-eyed cat-bus from My Neighbor Totoro + the lush leafiness of Princess Mononoke + Bender Bending Rodríguez = some shiny metal grass. Futurama is coming back to Comedy Central in June, and the very first promotional trailer is out. It's 30 seconds long, and very Comedy Central-centric (the giant TV from the classic title sequence has a big ol' Comedy Central ad on it), but the glimpse of Bender and Zoidberg saying new things that they have not said before will probably sate most fans. 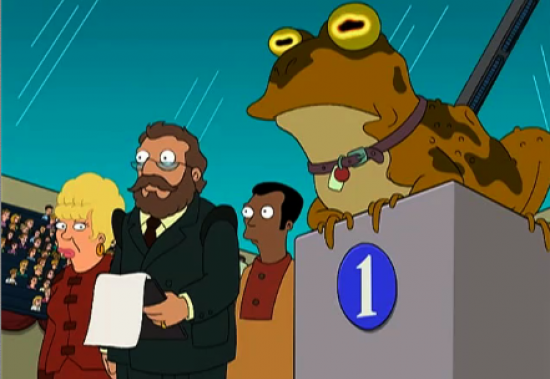 Hopefully, the new series is more in the vein of Futurama up to 2003 more than the Futurama movies.